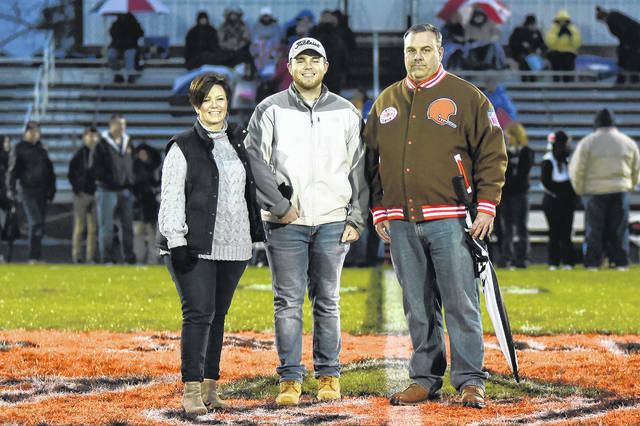 ARCANUM – It was once again another damp and chilly evening on Senior night with Arcanum recognizing 27 senior fall athletes. 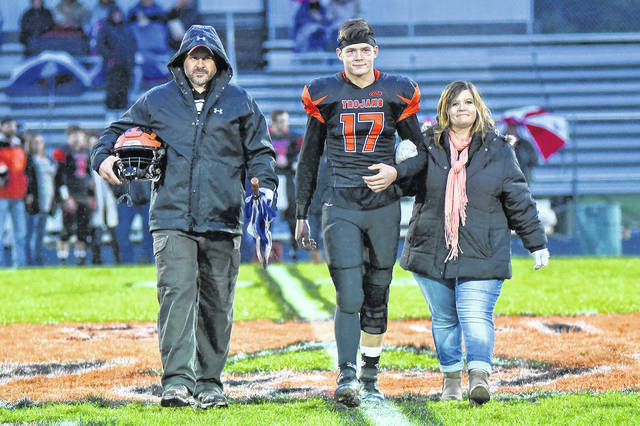 The 27 seniors were presented Friday night with one unable to attend. There were 7 Football, 5 Cross Country, 3 Cheerleaders, 3 Volleyball, 3 Band, 2 Trainers, 2 Boys Golf, 1 Color Guard and 1 Girls Golf. Dane Craport – is the son of Dean and Tammy Craport. Has participated in Football, Track and the MVCTC FFA. He would like to own and Agricultural business and attend Hobart Welding School. Austin Fourman – is the son of Dustin and Heather Fourman. He has participated in FFA FCCLA, Football, Baseball, Track, Teacher’s Aide, FFA Treasurer and voted to Homecoming Court. He plans to attend a 4 year college to play football or attend Upper Valley trade school to become and electrical lineman. 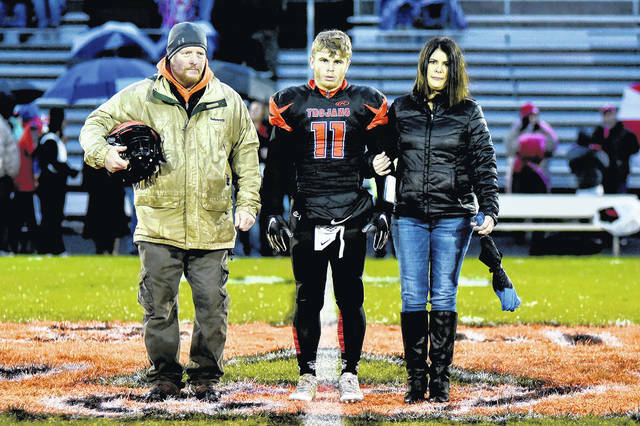 Trevor Fry – is escorted by his parents Dwight and Stacy Fry. 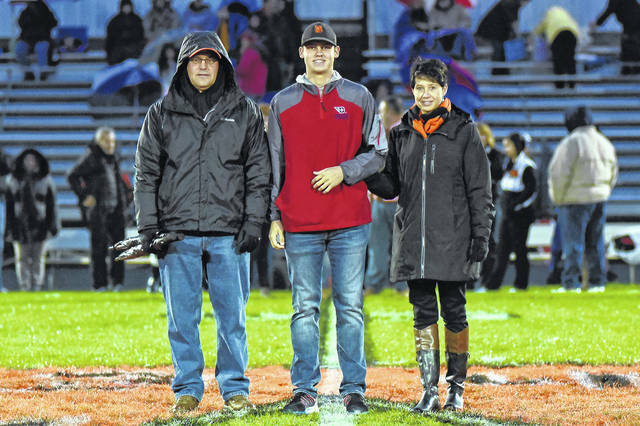 He has been active in Football, Baseball, SADD Club, Leadership Team and Renaissance Club. 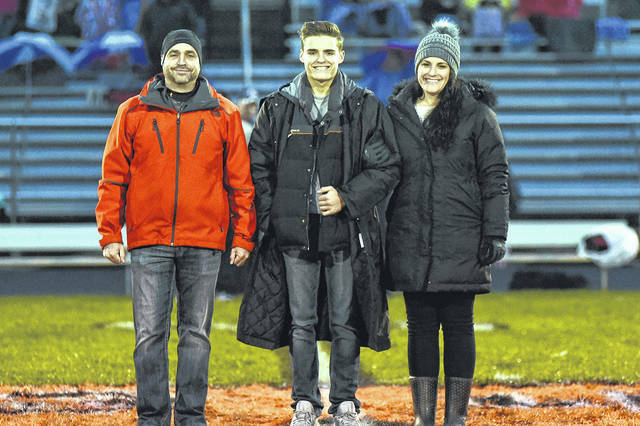 He plans to attend Wright State University and take pre-veterinarian courses and further his education at a Veterinarian School. 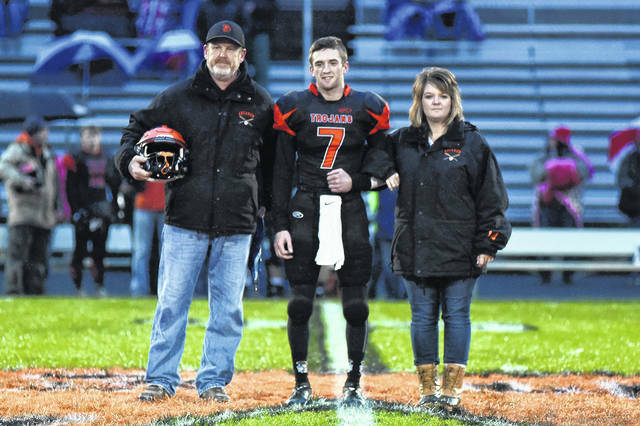 Dallas Graham – is escorted by grandparents Bob and Sue Graham. He participated in Football Choir, and the Light Foundation Program. He plans to attend a college to study graphic design. Isaiah Hootman – is the son of Joel and Becky Hootman. He has been active in Football, Basketball, Baseball, Cross Country, Leadership Development, FCCLA, SADD Club, and FBLA. 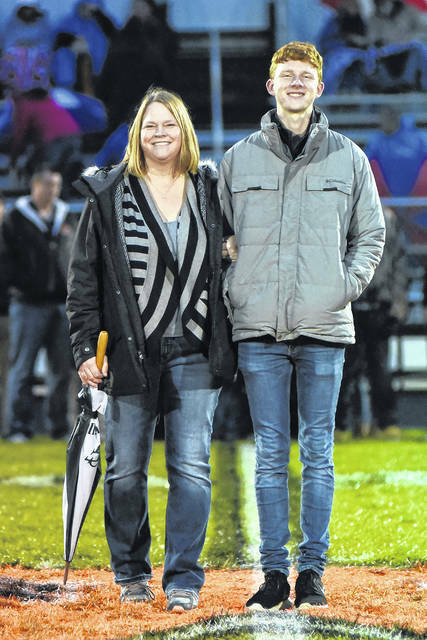 He plans to attend Wright State University and earn a Bachelor of Nursing Degree and become a nurse practitioner. 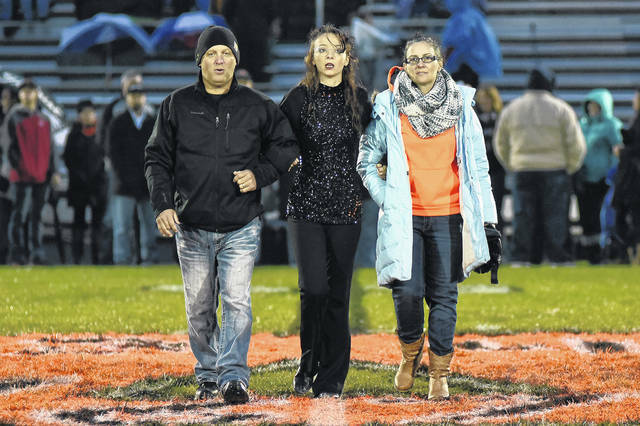 Devin Keckler – is escorted by his mom, Crystal Cole, dad and step-mom, Don and Cari Hoffman. He has participated in FCCLA, FFA, Football and Baseball. 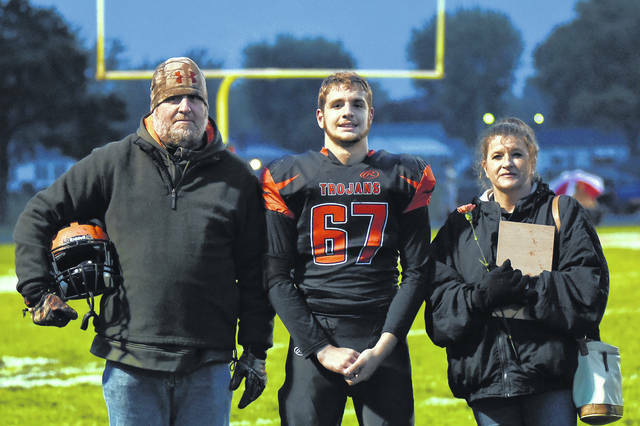 He participated at the state level in wrestling and regional in track. 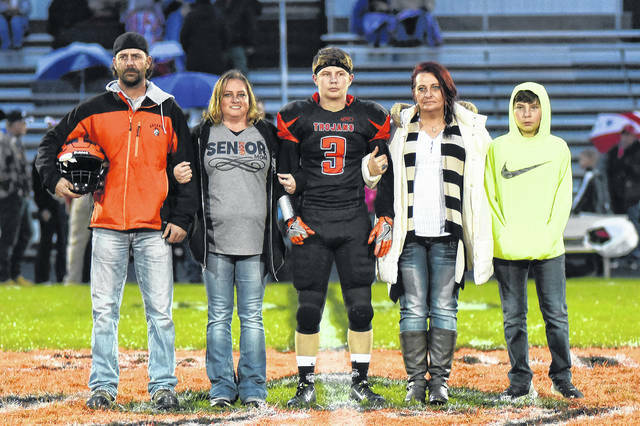 He plans to become a Welder and to attend South Nazarene University or Franklin Marshal College for wrestling. Ethin Hoffman – is the son of Tara Fitzgerald and Mike Keckler. He has participated in Football, Track, FFA, and FCCLA. Devin plans to attend a college to get a degree in criminal justice. Jenna Beatty – is the daughter of Jerry and Carla Beatty. Jenna has participated in National Honor Society, Leadership Development Team, Student Council, SADD Club, Volleyball, and Basketball. She is top ten of her class and voted to Homecoming Court and a Scholar Athlete. She plans to study pharmacy in college. Sidney McAllister – is the daughter of Doug and Tina McAllister. She has been active in FFA as President, SADD, Friends of Rachel Club, FCCLA and a student athletic trainer. 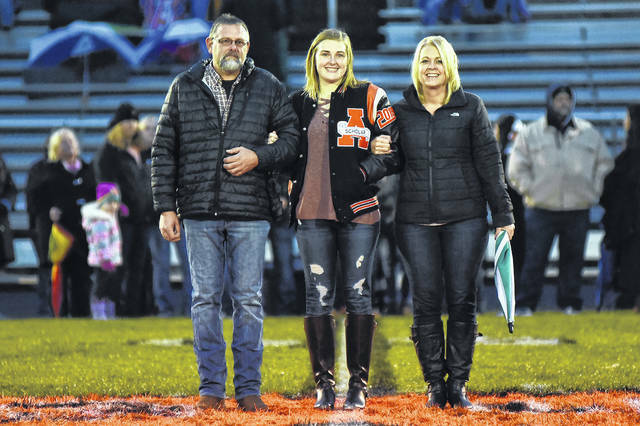 Her future plans are to go into diagnostic medical sonography at The Ohio State University. Jenna Haney – is the daughter of Julie and Mark Haney. Her activities have been Volleyball, SADD Club, Student Council and Leadership Development Team. She was voted to prom court her Junior year and homecoming court her senior year. 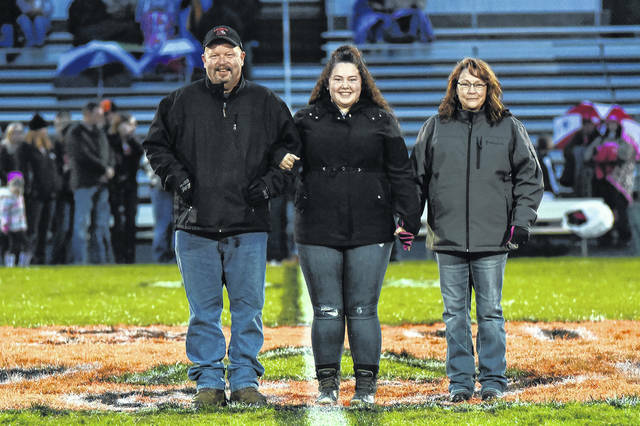 She plans to attend IU East to study nursing and later become a pediatric nurse. 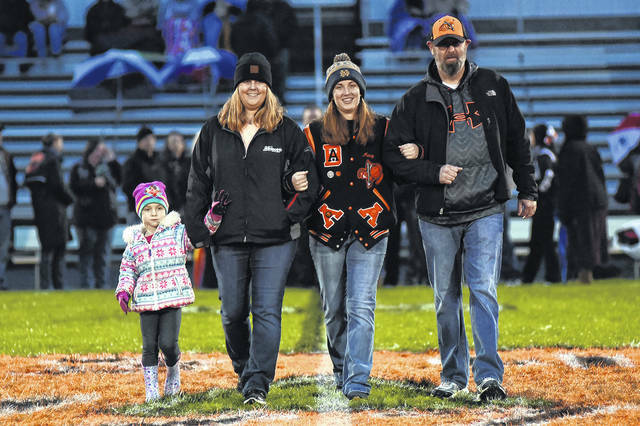 Macey Hartman – is escorted by her family, Scott and Katie Hartman and sister Haddie. She has participated in Volleyball, Basketball, Softball, SADD Club, Renaissance Club, Leadership Development, Project MORE and teacher’s assistant. She is Top 10 of her class and a Scholar Athlete. 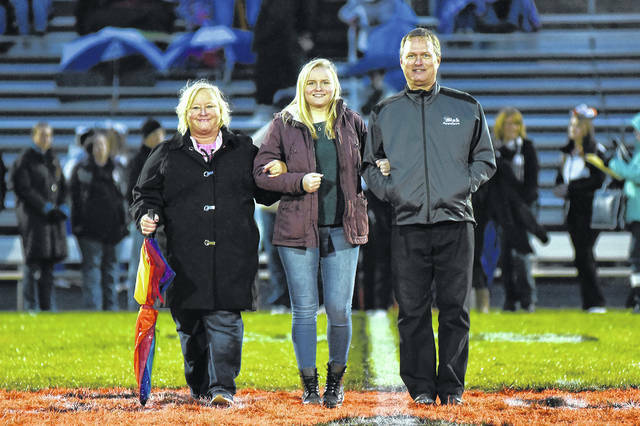 Her future plans are to attend Ball State or Urbana University to major in accounting. Sadie Sink – is the daughter of Dan and Cathy Sink. 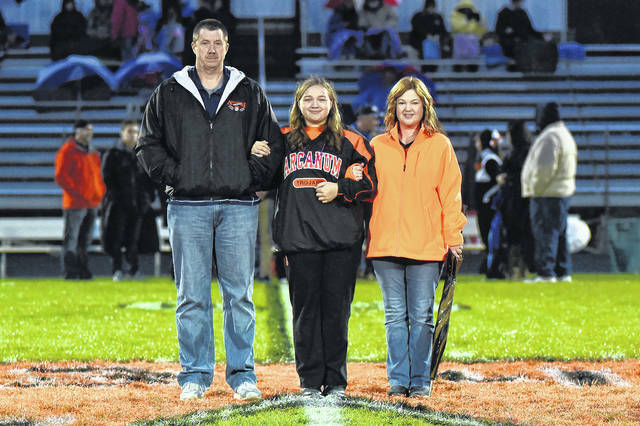 She has been active in Volleyball, Softball, Track, SADD Club, Art Club Leadership Development and was a Class Officer. Sadie was crowned Prom Princess her junior year and was on homecoming court her senior year. She plans to attend a 4 year University to study speech pathology to become a speech therapist. Logan Garbig – is the daughter of Mark and Heather Garbig. Logan has participated in FCCLA, Color Guard, Leadership Development, Drama, Academic Team, Band and Track. 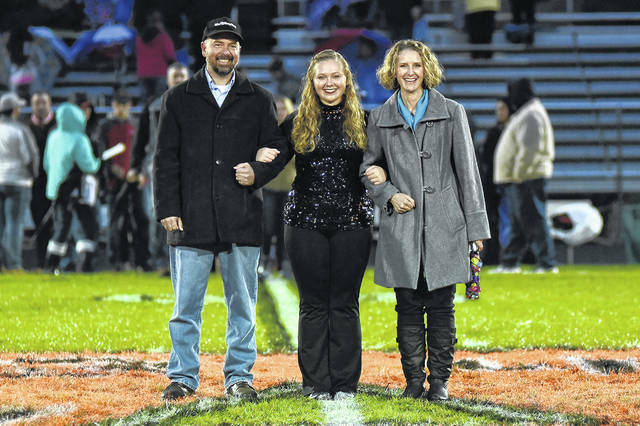 Her future plans are to attend Bowling green and major in early childhood development. Paul Rammel – (not present) is the son of Andy and Lori Rammel. He has been active in indoor and outdoor track, cross country, band and jazz band. 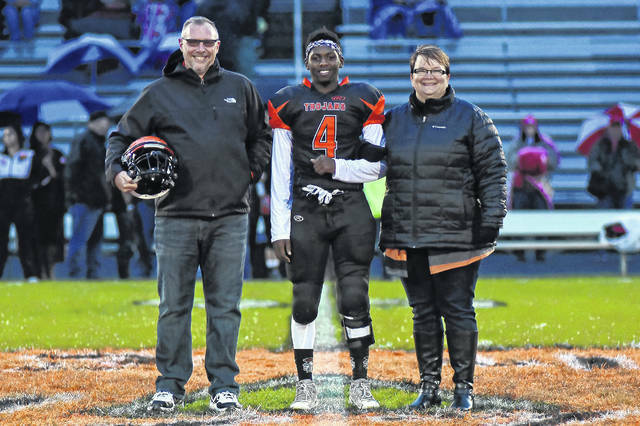 He plans to attend Western Michigan University to major in aviation flight science and become a commercial pilot. Elora Sudduth – is the daughter of Dan and Rachel Brown. Her activities include Band, Cross Country, Swimming, Track and Field, Volleyball, Jazz Band, Church Dartball, Basketball, Worship Team, and 4-H. She plans to go to Sinclair Community College for Veterinary Technology and become a registered Vet Tech. 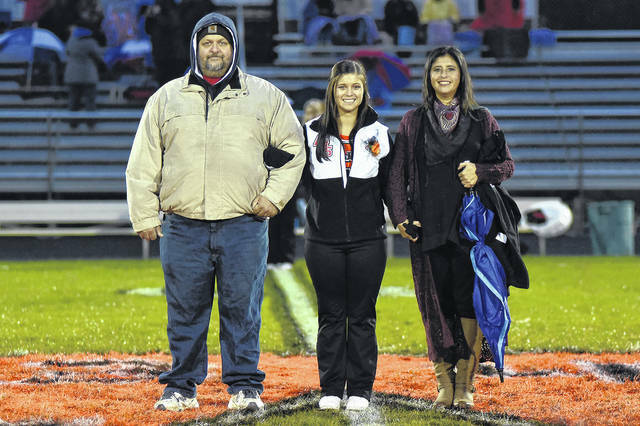 Sydney Brumbaugh – is the daughter of Derrick and Yvonne Brumbaugh. 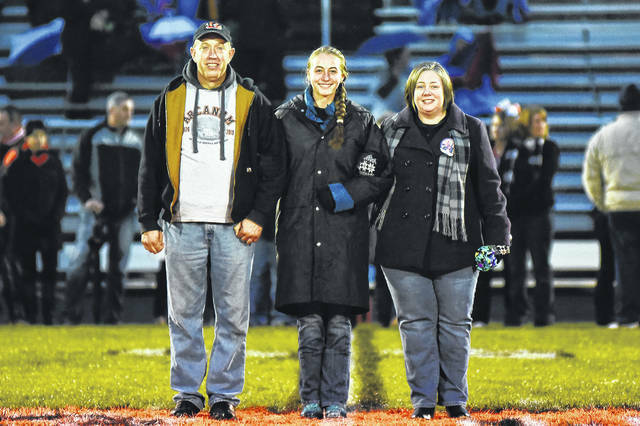 She has been active in SADD Club, Friends of Rachel, FCCLA, Color Guard and was a student aid. She plans to attend Edison for 2 years then transfer to Cedarville to major in nursing to become a neonatal nurse. Alexis Unger – is the daughter of Jeremy and Carmen Unger. 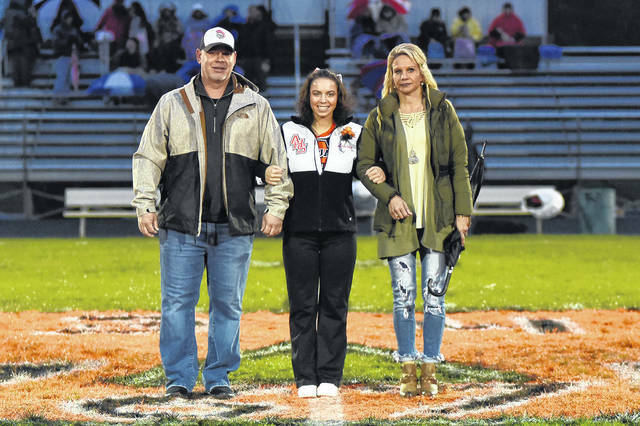 She has been active in Golf and qualified for district twice, a member of the Basketball team and participated in SERVE Arcanum. Alexis plans to attend Florida State University to major in biology to become a pharmaceutical rep. She would also like to get her real estate license and pursue a modeling career. Evan Atchley – is the son of Jim and Liz Atchley. He has participated in Football, Basketball, Baseball and Golf. He was a part of the Renaissance Club, FCCLA, SADD Club and was voted junior homecoming court representative. 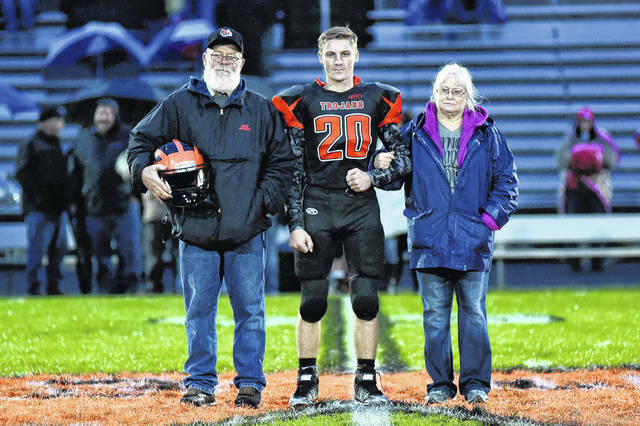 He plans to attend the University of Dayton and major in finance. Mitchel Wogomon – is the son of Ryan and Heather Wogomon. He has been active in Cross Country, Basketball, Baseball, Golf, FCCLA, FFA and Academic Team. Mitchel’s career and college plans are to attend Sinclair and major in nursing. Jimmy Barry – is the son of Scott and Karen Barry. His activities have been Cross Country, Track and Field, Swimming, Swim Coach for Darke County Stingrays and Lifeguard. His plans are to attend Miami University for engineering. 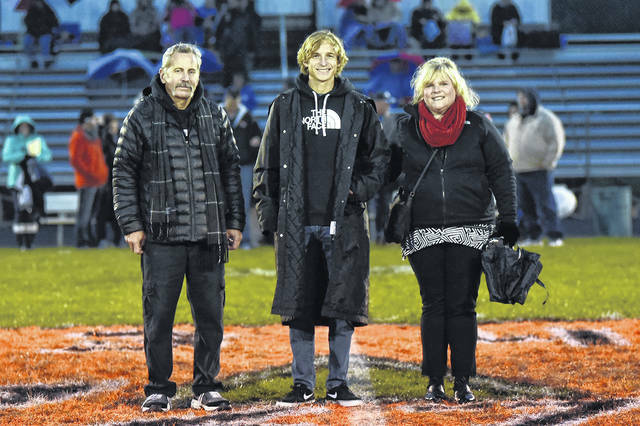 Tanner Delk – is the son of Tim Delk and Teresa Singleton-Delk. 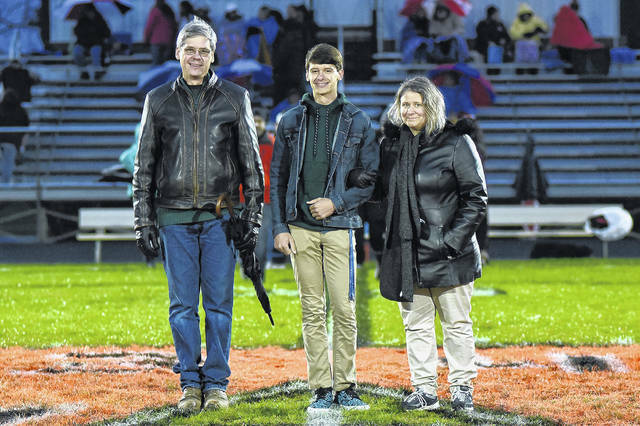 Tanner has participated in indoor/outdoor track, Cross Country, Band, Jazz Band, Renaissance, Leadership Development Team, President of National Honor Society, Prom Committee, Top Ten in Class, Drama Club, and crowned Homecoming King. He plans to study business and run cross country and track in college. Makenna Gunckel – is the daughter of Deron and Gwen Gunckel. She has been active in Cross Country, Track & Field, National Honor Society, Drama, Choir, Leadership Development Team, FCCLA and SADD Club. Makenna plans to pursue a degree in elementary education and life sciences at Indiana University East. Ethan Moores – is the daughter of Richard and Bridget Moores. He has been active in Indoor/Outdoor Track, Band and Cross Country. Ethan will attend the University of Cincinnati for business and engineering then go to UC’s law to study intellectual property law. Tristen O’Brien – is the son of Dan and Tia O’Brien. He has been active in Band, Cross Country, Swim Team, Track, FCCLA, Drama, Detention and Campus Life. His future plans are to go into the Air Force and work in the cyber warfare division. Cami Henninger – is the daughter of Kevin and Dana Henninger. She has participated in Cheerleading, Softball, Leadership Development Team, Prom Committee, Friends of Rachel Club, and Class Officer. Her future plans are to attend college and study dental assisting. Cate Lee – is the daughter of Rob and Beth Rayburg. She has participated in HOSA, Cheerleading, and Chair Member of CTC Social Interactions. Cate plans to attend Sinclair Community College for Radiology. 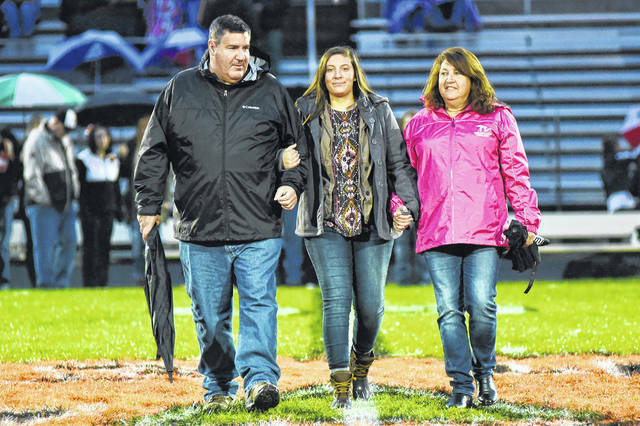 Lauren Lumpkin – is the daughter of Travis Lumpkin and Kim Wildermuth. 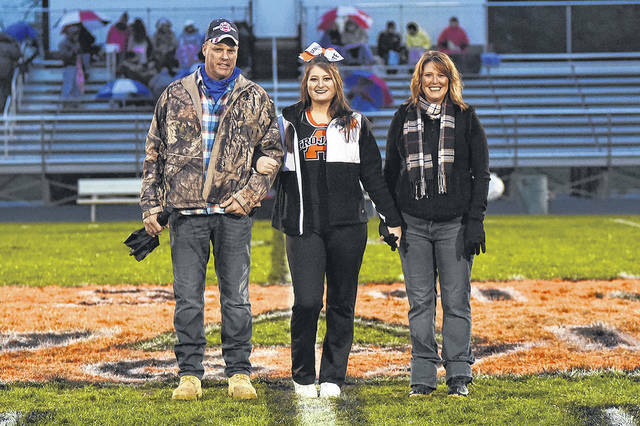 She has been active in Cheerleading, Softball, FCCLA Vice President and Choir. 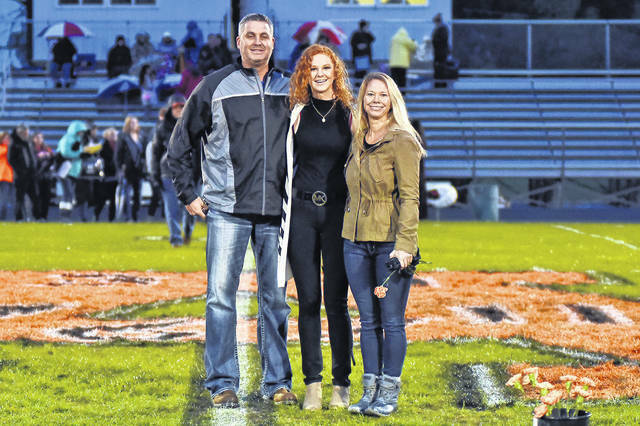 Lauren was voted by her peers to homecoming and prom court and was crowned 2019 homecoming queen. Her future plans are to attend a college to become a dental hygienist.